With 13.5% of the population identifying as Irish, bars everywhere, and a parade that dates back to 1869, the Steel City is as close to Dublin anyone's gonna get in the US. I kept this in mind as I searched for some activities/games to use with my younger students in my studio this week. After we've completed theory assignments, learning and reviewing pieces, and technical exercises in the lesson, only a few minutes are left for a game. Every teacher has their own philosophy on the use of games during a piano lesson. I personally believe that young children learn best through play and that finishing each lesson with a lighthearted and fun activity makes all the difference in how they feel about their piano lessons each week. Have your students complete this at home, perhaps using their assigned scale to establish a key, and be prepared to play it for you at their next lesson. 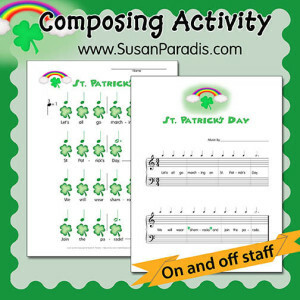 Do your students need to review keyboard topography, scales, intervals, and chord progressions? You're in luck! This game is an excellent, hands-on resource to help you review important concepts with your students this week and end the lesson in a positive way. 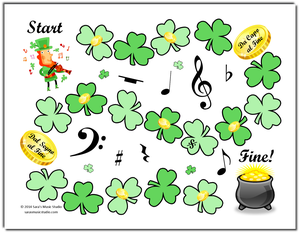 This coloring page subtlety encourages your students to practice their note reading skills. Hand this out to siblings to work on while they wait for their lesson! 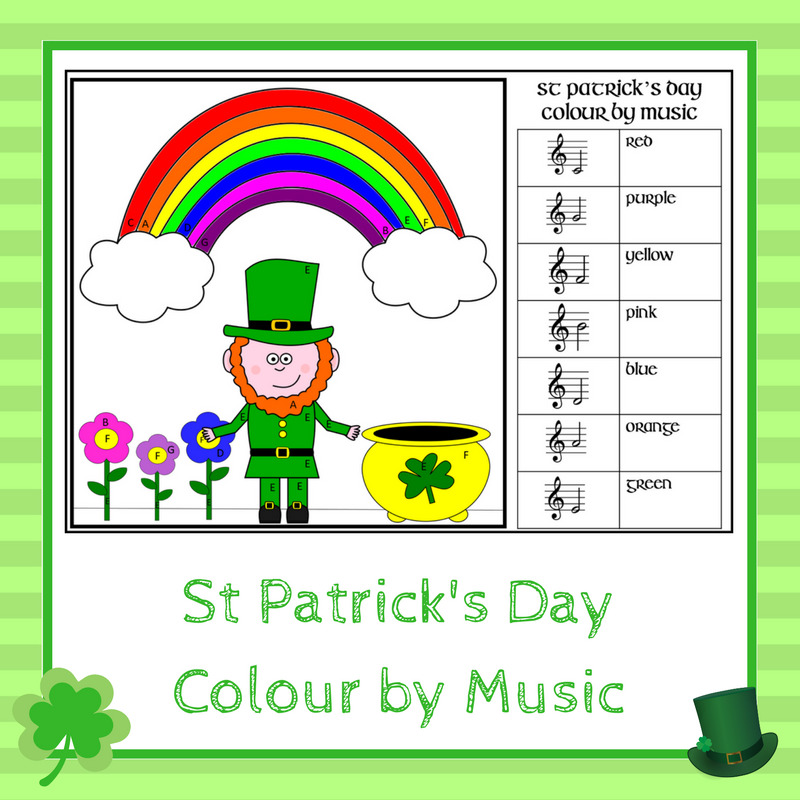 Greenside Music also has other St. Patrick's Day games available for sale! 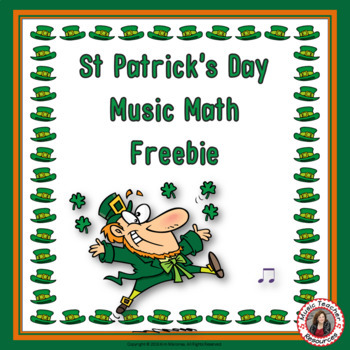 This music math page ties in nicely with Piano Pronto method books. Use it this week in lieu of or in conjunction with your students' regular theory assignments. Improvising is the ultimate way to help students feel a steady beat, expand their imagination and individual style, and utilize the concepts that they have learned over time. 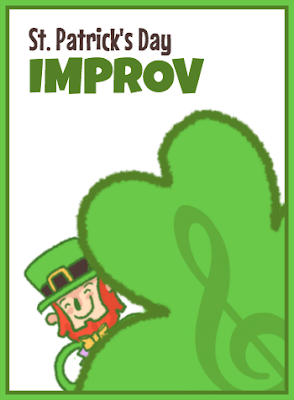 A Foot-Tappin’ St. Patrick’s Day Improv Activity For Your Piano Students makes it easy to improvise with your students!